As the name of our practice, Innovative Dental, implies, we strive to always invest in, learn, and utilize the most advanced dental techniques and technologies. Our Springfield dentists, Dr. Grant Olson and Dr. Megan, believe it is our responsibility to provide patients with the latest dental technology to help them achieve their goals. With new technology, we can often perform many dental procedures more effectively, reducing treatment and recovery time, minimizing side effects, and ultimately achieving more precise results. CEREC® is the latest technology in creating custom porcelain crowns, inlays and onlays, and other treatments for reconstructive and cosmetic dentistry procedures. In the past, the process for creating these types of dental restorations could take one week or longer; patients would have to visit our office for several fittings, as well as wait for a laboratory to create the restoration. With CEREC®, Dr. Olson and Dr. Megan utilize 3D computer software to capture unique images of your mouth. Then, we can use these images along with a state-of-the-art milling unit to create your customized restorations right in our office. It typically takes about one hour per restoration. CEREC® often allows us to complete a process that used to take weeks in just one office visit! 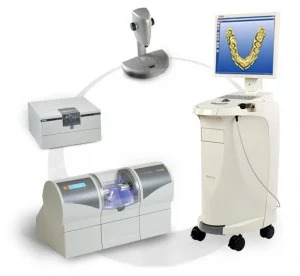 The Galileos™ 3D Imaging System provides very detailed, high-resolution, 3D images of the mouth, jaw, and face – including bone density, blood vessels, and nerves. This powerful diagnostic technology is useful in many aspects of dental care, including general dentistry, periodontics, reconstructive dentistry, cosmetic dentistry, and oral surgery. The Galileos™ system displays aspects of your oral anatomy that normal x-rays can’t show, and that allows our dentists to more accurately make a diagnosis and to create a more effective treatment plan. This technology is also useful in detecting early signs of oral health problems, so that they can be addressed before becoming serious. 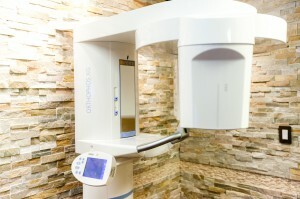 At Innovative Dental, we use this technology to safely place implants with full guidance, diagnose unexplained pain, evaluate for disease, and image the teeth of children who may otherwise struggle with traditional x-rays. At Innovative Dental, even our fillings are innovative! We use the latest in cosmetic filling technology to place higher quality fillings without bubbles or gaps. 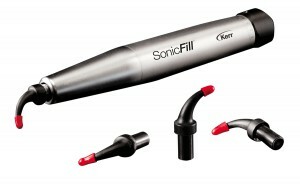 The SonicFill™ device uses vibrations to thoroughly fill cavities without voids, improving the long-term health of your teeth, while also minimizing time spent in the office. You can experience our innovative difference, even if all you need are fillings! With Isodry® technology, we can protect your tongue and cheek from excess water during treatment as well as prevent debris from old fillings from going down your throat. By isolating the teeth and protecting you, we can reduce treatment time and offer improved, longer-lasting results. Cosmetic fillings require a dry environment to provide optimal results, and the Isodry® can perform this perfectly for our patients. SNAP® is a dental imaging software that can instantly create a smile simulation to show you what your new smile can look like after treatment. Within seconds, Dr. Olson and Dr. Megan can show you the potential results you can achieve with a cosmetic dental procedure like teeth whitening, porcelain veneers, or smile makeover. Your smile simulation photo and current smile photo can be compared side-by-side in just seconds to help you make the best possible decision for your new smile. Many patients experience anxiety surrounding visits to the dentist. At Innovative Dental we understand that dental anxiety is common, and we are always looking for innovative ways to make your visits more comfortable. One of the most commonly disliked experiences at the dentist are injections. Dr. Olson, Dr. Megan and our hygienists use DentalVibe when administering local anesthetic, an innovative technology developed to help block the pain of injections. The DentalVibe applies a light vibration to the tissue around the injection site while anesthesia injections are administered. Within 10 seconds, this signal closes the pain gate, blocking the sensation of pain in 98% of patients. Research has shown that when vibration and injection sensations are occurring simultaneously, the vibration feeling reaches the brain first and essentially blocks the feeling of the injection from being perceived by the brain. Children and adults no longer have to be afraid of the needle. If you would like more information on our dental technology, or if you are interested in meeting with Dr. Olson or Dr. Megan for a consultation, please contact us today.